A recent news story out of the UK in London headlined the transfer of fat from a man’s stomach to his head to reshape it. Given that fat injections to the face, breast and buttocks have become so popular over the past decade, such a story is at the very least noteworthy. The patient was a young 32 year-old man had some of his skull removed and surgery to reconstruct a shattered eye socket, cheekbone, and leg, following injuries sustained when he fell while climbing up a drainpipe outside his house. To ease brain swelling caused by his fall, a piece of his skull was initially removed which is standard practice in these type of injuries. Also he had titanium plates inserted to fix his broken eye socket and hold the bones together.Six months after his initial injury, the missing piece of his skull was reconstructedwith a computer-generated titanium plate based on the shape of his opposite normal skull. Despite restoring the bony shape of the skull, his temple area still remain indented. This is common after such skull procedures as the temporalis muscle, which needs to be raised off of the bone to perform the procedure, will shrink down in size during the healing process. 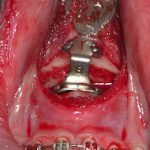 This ‘temporalis muscle atrophy after a craniotomy’ is well known and has been treated over the years by many methods. In this patient’s case, the surgeons used stomach fat harvested by ljposuction which was then injected into the temporal skull defect to fill it out for a smoother contour. How well the fat survived and adequately reconstructed the temporal defect months later was not described in the news story. Reconstruction of a cosmetic temporal defect can be done with either a synthetic implant, allogeneic tissue grafts or fat injections. There are advantages and disadvantages to any of these approaches. Fat injections, just like they do for every other face and body application, offers a minimally-invasive procedure with a cannula harvest and a needle injection technique. Its disadvantage is in how much of the injected fat will survive. Experiences with temporal fat injections vary widely with some reporting good volume retention and others near complete absorption. I have seen both outcomes in my temporal augmentation with fat. 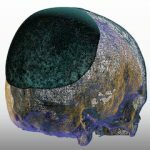 For assured temporal augmentation results, a simple insertion of a specially-designed silicone temporal implant provides a permanent solution.